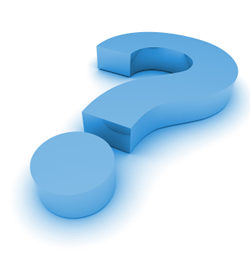 Please find below a list of the most frequently asked questions about our services. If your question is included simply click it to see the answer. Q: Which keywords will my business be found under? A: Your business will be found under the keywords/phrases that were agreed with your sales representative at the time of purchase. These will be emailed to you as soon as your account goes live on Leading Search Engine. Q: Have I entered into a contract? A: No. The first month is simply a trial, which can be cancelled only upon and after receipt of your statistical report 2/3 days before the end of the first month. After this, our agreement works on a month-by-month basis, with 30 days notice required in writing to head office should you wish to terminate the agreement. You'll find a copy of your online agreement within your welcome documents and also here. Q: Will you contact me before my renewal is due? A: Due to the large volume of clients renewing their services each month we are unable to call every client individually. We do however commit to ensuring your position tech report is sent to your chosen email address at least 48 hours prior to your renewal payment. Q: Can I add keywords to my account? A: Yes. You can add keywords to your account from as little as £10.00 a month+VAT. Please contact our support team for an exact quote on additional keywords. Q: Can you guarantee what position my advert will appear in on the first page? Q: How and when is future payments made? A: Your monthly subscriptions are automatically taken from your chosen credit or debit card each month. You can change your billing details by contacting our support team. A: Your invoices will be sent to your chosen email address. Q: Is my business guaranteed to be on the first page of Leading Search Engine UK 24/7? A: It's not possible for any company, including Leading Search Engine, to guarantee your website will appear on the first page 24 hours a day, 7 days a week. What we can guarantee is that your key phrases will appear on the first page of Leading Search Engine every day for one calendar month. Our support team is constantly monitoring your position. If for any reason your advert does not appear, please contact us immediately and we will endeavor to regain your position as soon as possible.